Are you looking for a cheap Gaming mouse that is not costly but has some good features? 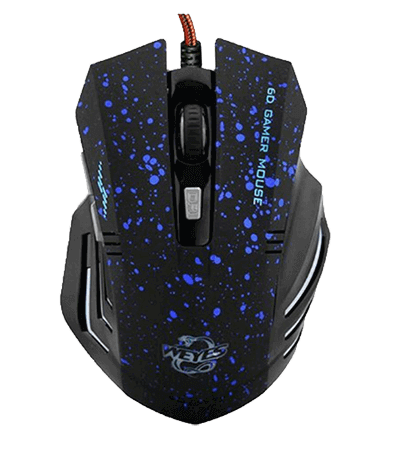 If your reply is yes then this review of Leegoal Change 6 Buttons 2000 DPI optical gaming mouse will help you get one such mouse for a better gaming experience. You get the complete enjoyment of playing games on your PC only when you have the right gaming mouse that gives you the flexibility to use its several buttons to switch between different functionalities with ease. Apart from this, the mouse should have an ergonomic design so that it can be easily fit in your hand making you play your favorite games for hours without any sign of fatigue. Not only this, if the mouse does not let you set DPI when you are playing your game then there is no use of using that mouse because without a button that lets you quickly set the desired DPI cannot be a good gaming mouse. As you see all pointers I mentioned above are important for a player, let me take you through Pros and Cons of Leegoal Change 6 Buttons 2000 DPI optical Gaming mouse so that you can decide if this is the cheap gaming mouse you need. More buttons means easy access to features that can turn your gaming experience to a new wave of enjoyment. This mouse has 6 buttons that include left, right, a wheel key, page up, page down, and DPI switcher. Buttons are really sensitive and work well. 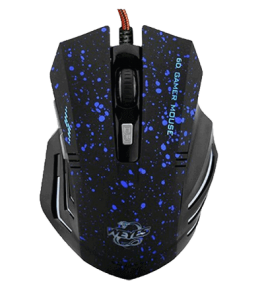 A bad looking mouse can spoil your mood too but when you will have Leegoal Change then you will love to use it because it has a beautiful color with blue dots. Ease of use – with an ergonomic design, it gets easily fit in your hand and you can it for hours. Additionally, it has a long 1.5-meter wire. DPI – when you play a game then it is important to change DPI. With this mouse, you can quickly change DPI using the DPI switcher button. DPIs available are 1000 dpi, 1600 dpi, and 2000 dpi. Whether you have a Windows PC or Mac, Leegoal Change is compatible with both. Every mouse has some cons. Leegoal Change 6 Buttons 2000 DPI Optical Gaming mouse do have some cons too. However, its price overcomes those cons. One of the cons noticed in this mouse is its size. Though, its design is good and it gets easily fit, it is not for small hands. It is a little big mouse so if you are a man, it will be a good experience otherwise, you may feel tired soon. Do you have more to add to this gaming mouse feel free to write it in the comments.